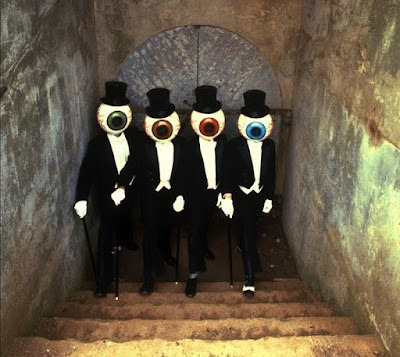 STEPHEN SPAZ SCHNEE: MEET THE RESIDENTS and THE THIRD REICH ‘N ROLL, the first two expanded two CD pREServed editions of classic Residents albums, have just been released with more on the way (FINGERPRINCE and DUCK STAB). How are you feeling about this new reissue project and the way these releases have turned out so far? HOMER FLYNN: Honestly, I’m pretty ecstatic about this. 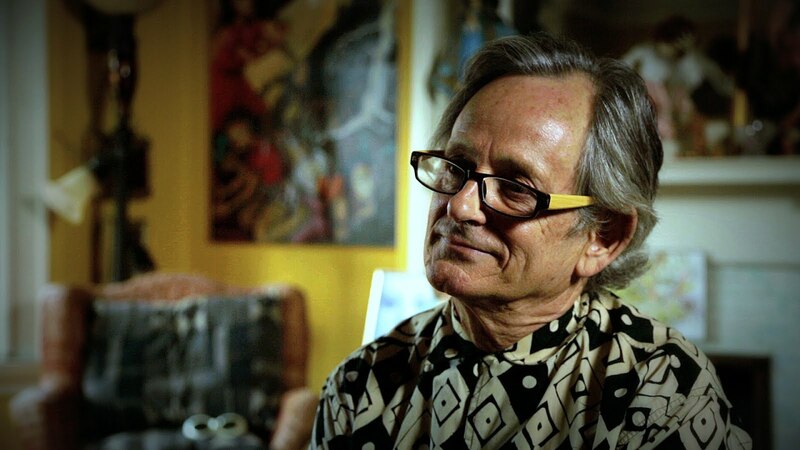 In The Cryptic Corporation (The Residents’ management), I had a partner that I worked with for over 40 years – Hardy Fox - who retired about a year ago. It came as a shock to me and I was not expecting it. But it was really his departure that has allowed this to happen. 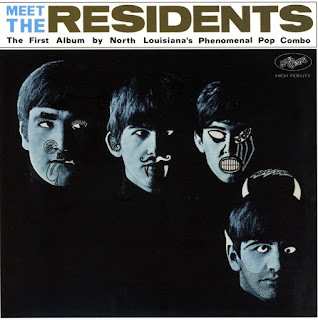 Hardy was the engineer for The Residents almost exclusively for the whole time we’ve been involved with them. In that regard, he was keeper of the archives – all of their master tapes. When he retired, the archive stayed with The Cryptic Corporation with primarily me as the caretaker. I wasn’t even aware to a great extent of what all was there. So, we found a guy in Seattle named Scott Colburn. He’s a long-time Residents fan and an audio engineer. I’ve been shipping these tapes off to him and he’s been transferring from the original masters. And to me, for there still to be this kind of interest in The Residents over 40 years after they started doing this stuff – while so many groups have disappeared into the fog of time – I’m ecstatic that people still care this much. SPAZ: With the beautiful packaging and plethora of bonus material, these are certainly the definitive versions of these albums. Did you ever think that you’d ever be revisiting these albums again in this way? HOMER: I certainly hadn’t really considered it. 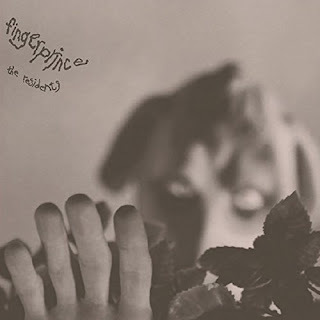 The last time anything like this came around, The Residents were releasing catalog material on Mute Records. They did a nice series of reissues in hardbound books. They did a great job but it seems that Mute gave up on operating the way they did in the ‘80s, ‘90s and early ‘00s. In the process, they turned the business around and weren’t really interested in continuing the reissues. It’s nice to see Cherry Red not only pick up that ball but take it further. Hopefully, these reissues will be successful and Cherry Red will work through our entire catalog. 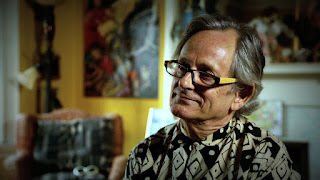 SPAZ: Hardy Fox’s retirement from The Cryptic Corporation set this project in motion when he handed you many archival recordings. Apart from the live material, did you stumble across studio sessions that you and the band don’t remember recording? HOMER: There are certainly things I had forgotten about. 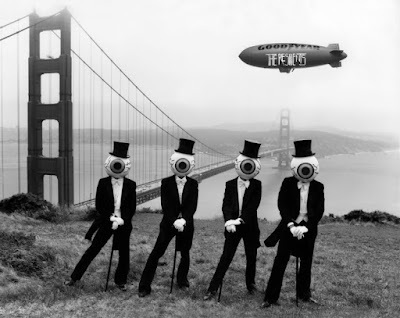 For instance, The Residents’ first tour was The Mole Show in ’82 and ’83. They spent a couple of years rehearsing that. What happened was that they were initially going to do that show as two sets – a set of their classic songs and another set that WAS MARK OF THE MOLE. In the process of rehearsing and getting ready, they also recorded the TUNES OF TWO CITIES album. Then, they paused, stepped back and said, “Let’s not do this older material. Let’s make this completely about the Mole stuff instead of this hybrid.” And that’s what they did. Ultimately, at one point, they had worked up a set of interesting arrangements of their classic material. I had completely forgotten about that. That’s something that showed up on these tapes – just recordings of rehearsals for the most part but still pretty interesting material. And that will probably be coming out as part of a Mole box set or something. SPAZ: Did you personally choose which tracks to add to these Residents releases or did you have someone else take on that task? There must have been a lot of material to choose from. HOMER: It was mainly Cherry Red’s Richard Anderson that did that. He certainly did it with mine and The Residents approval. I personally enjoyed having someone with an outside point of view deciding what they felt people would find interesting and what would blend together to make the best album. 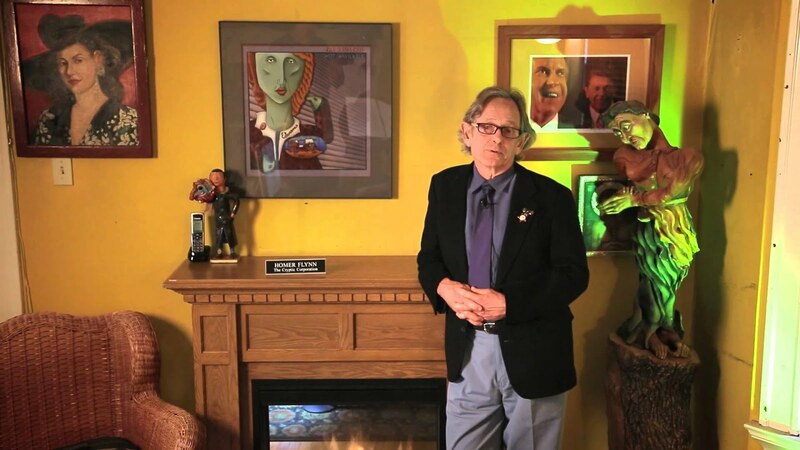 I’ve gotten to know Richard pretty well and trusted his taste. I was kind of happy to leave that to him. 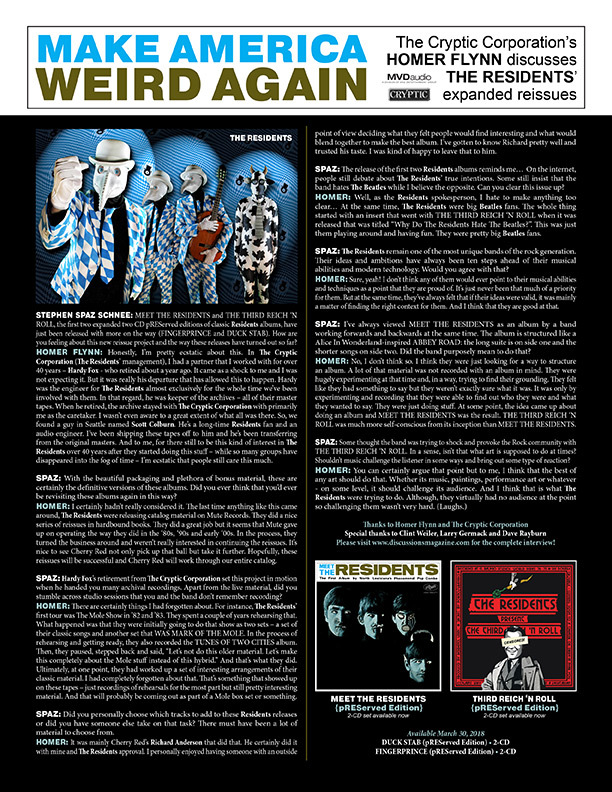 SPAZ: The release of the first two Residents albums reminds me… On the internet, people still debate about The Residents’ true intentions. Some still insist that the band hates The Beatles while I believe the opposite. Can you clear this issue up? HOMER: Well, as the Residents spokesperson, I hate to make anything too clear… At the same time, The Residents were big Beatles fans. 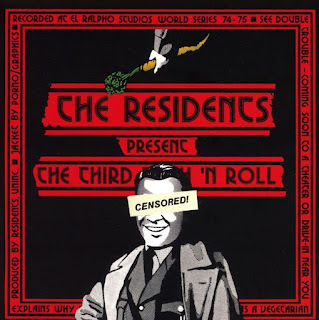 The whole thing started with an insert that went with THE THIRD REICH ‘N ROLL when it was released that was titled “Why Do The Residents Hate The Beatles?”. This was just them playing around and having fun. They were pretty big Beatles fans. 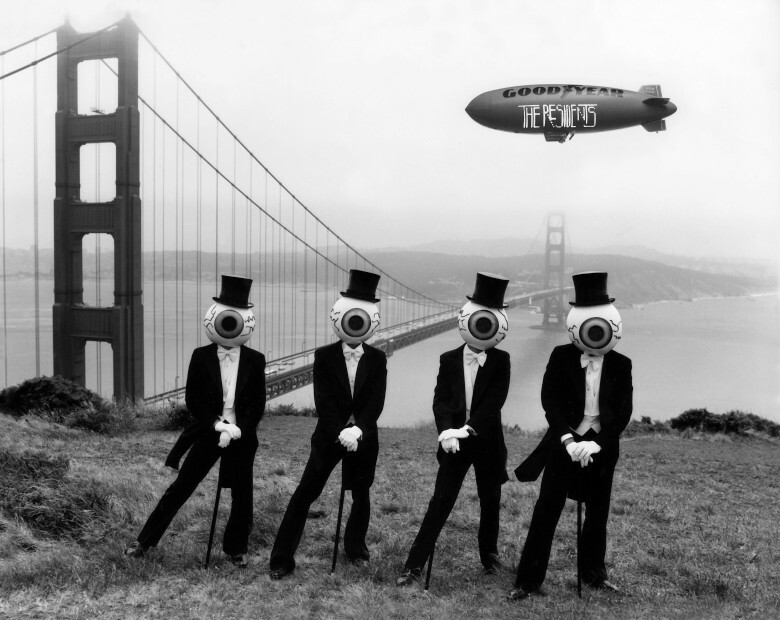 SPAZ: The Residents remain one of the most unique bands of the rock generation. Their ideas and ambitions have always been ten steps ahead of their musical abilities and modern technology. Would you agree with that? HOMER: Sure, yeah! I don’t think any of them would ever point to their musical abilities and techniques as a point that they are proud of. It’s just never been that much of a priority for them. But at the same time, they’ve always felt that if their ideas were valid, it was mainly a matter of finding the right context for them. And I think that they are good at that. SPAZ: I’ve always viewed MEET THE RESIDENTS as an album by a band working forwards and backwards at the same time. The album is structured like a Alice In Wonderland-inspired ABBEY ROAD: the long suite is on side one and the shorter songs on side two. Did the band purposely mean to do that? HOMER: No, I don’t think so. I think they were just looking for a way to structure an album. A lot of that material was not recorded with an album in mind. They were hugely experimenting at that time and, in a way, trying to find their grounding. They felt like they had something to say but they weren’t exactly sure what it was. It was only by experimenting and recording that they were able to find out who they were and what they wanted to say. They were just doing stuff. 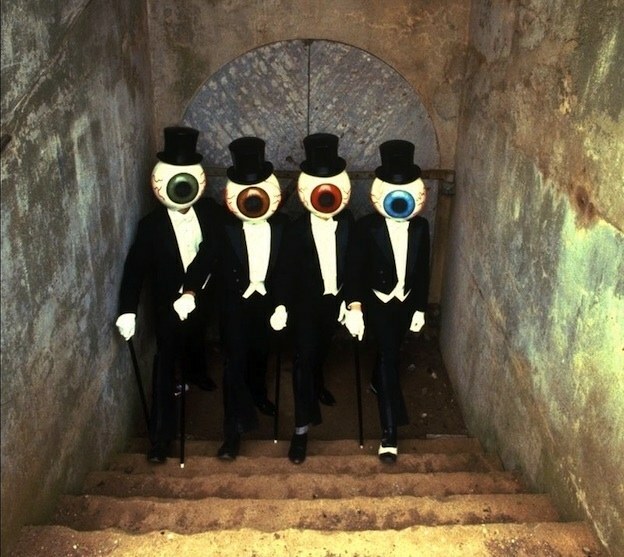 At some point, the idea came up about doing an album and MEET THE RESIDENTS was the result. 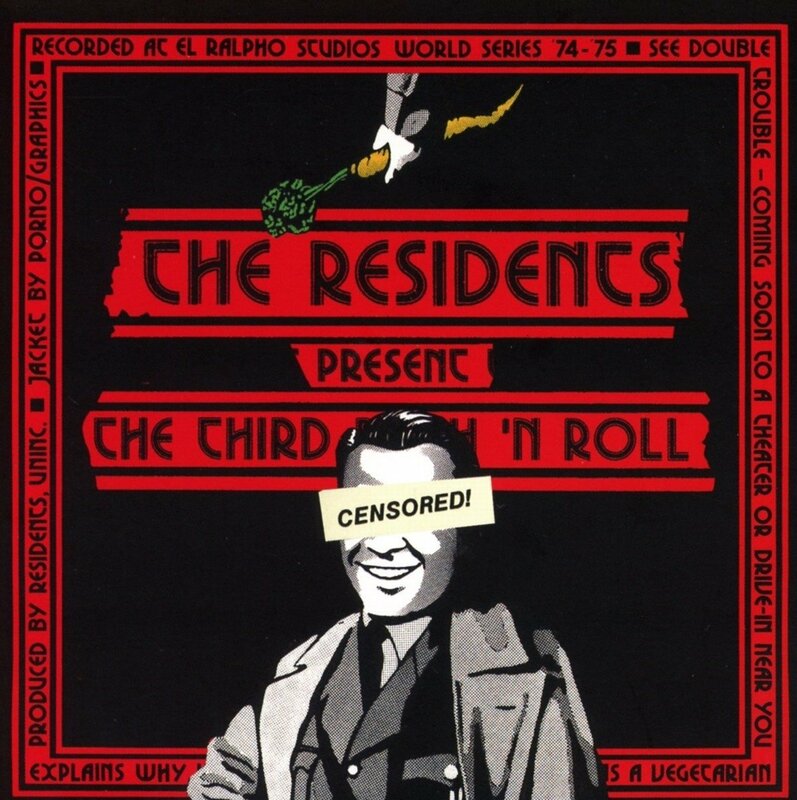 THE THIRD REICH ‘N ROLL was much more self-conscious from its inception than MEET THE RESIDENTS. SPAZ: Some thought the band was trying to shock and provoke the Rock community with THE THIRD REICH ‘N ROLL. In a sense, isn’t that what art is supposed to do at times? Shouldn’t music challenge the listener in some ways and bring out some type of reaction? SPAZ: 2017’s four CD collection 80 ACHING ORPHANS is the best overview of the band’s career to date. I’m especially impressed by the fact that it is not chronological. Although the band’s sound has evolved dramatically over time, all the musical pieces fit together perfectly. The recordings may differ sonically but those differences engage the listener. What was the intention behind compiling it the way you did? HOMER: Apart from giving a general overview, the primary criteria was listenability. The Residents’ albums – not exclusively but near exclusively – are concept albums. The whole idea of 80 ACHING ORPHANS was, “Oh, these poor songs. 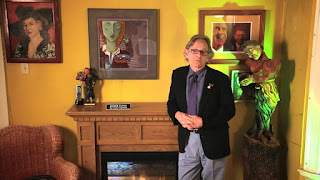 They are being ripped out of their context!” In general, it is our feeling that Residents compilations have not necessarily worked all that well become these songs are supposed to be heard within a context. They don’t work as well alone or following other things that they don’t necessarily relate to. So, the sense of listenability was really the highest priority. SPAZ: What is next for Homer Flynn and The Residents? GHOST OF HOPE was a wonderful step in a slightly different direction. HOMER: The Residents just did a crowd-funding campaign titled I AM A RESIDENT. 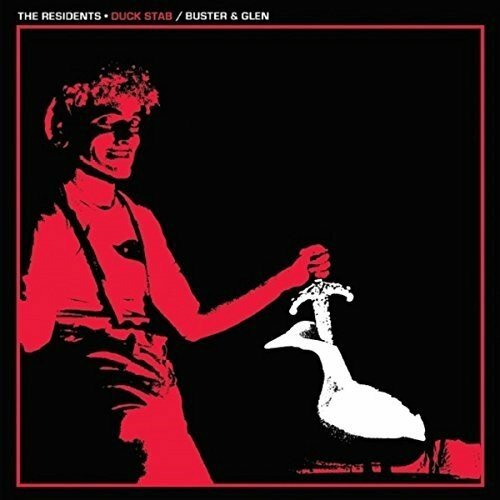 The whole point of the crowd-funding campaign was to enable and invite their fans to create their own versions of Residents songs to then be part of an album. It is coming along quite nicely. Originally, fans and Residents would vote on songs and the 15 or 20 best songs would be the album. Once all was said and done, they had 197 submissions – they were expecting 40 or 50 at the most. So, what they are doing now is essentially a series of mashups in a way inspired by THE THIRD REICH ‘N ROLL. Taking these songs, editing and overdubbing on top of them and creating unique pieces out of these pieces. My reaction to this upon listening to this is that there is something both hauntingly familiar and completely wrong about it. (Laughs). And I really like it.